Definitions. 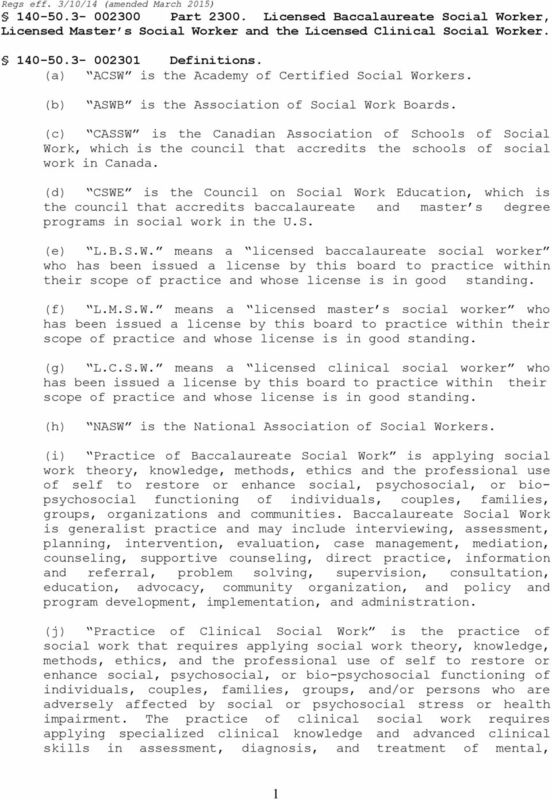 (a) ACSW is the Academy of Certified Social Workers. 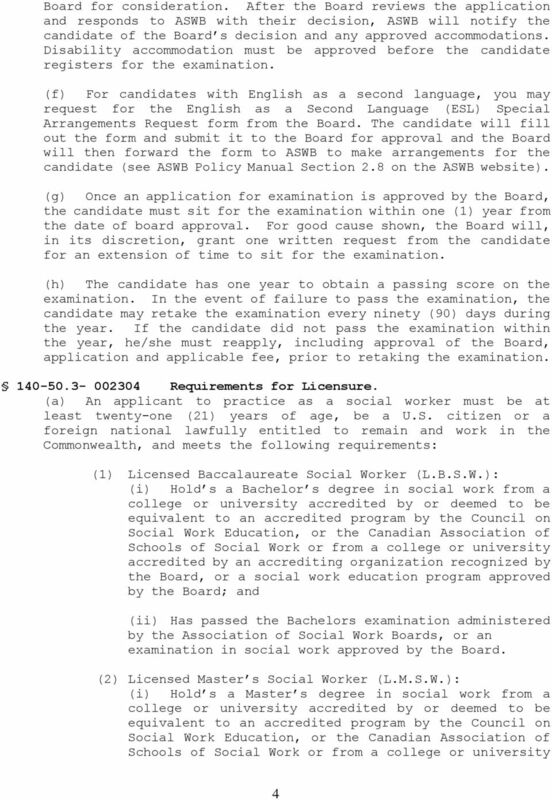 ASWB is the Association of Social Work Boards. Download "140-50.3-002301 Definitions. 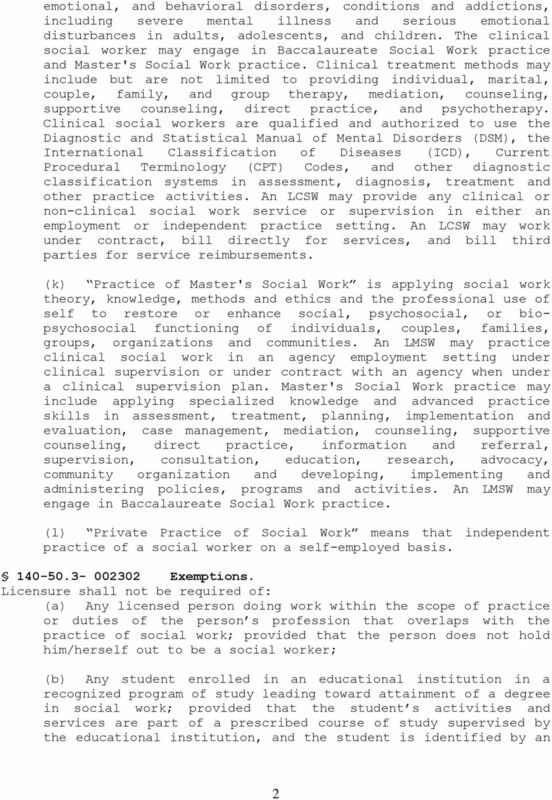 (a) ACSW is the Academy of Certified Social Workers. 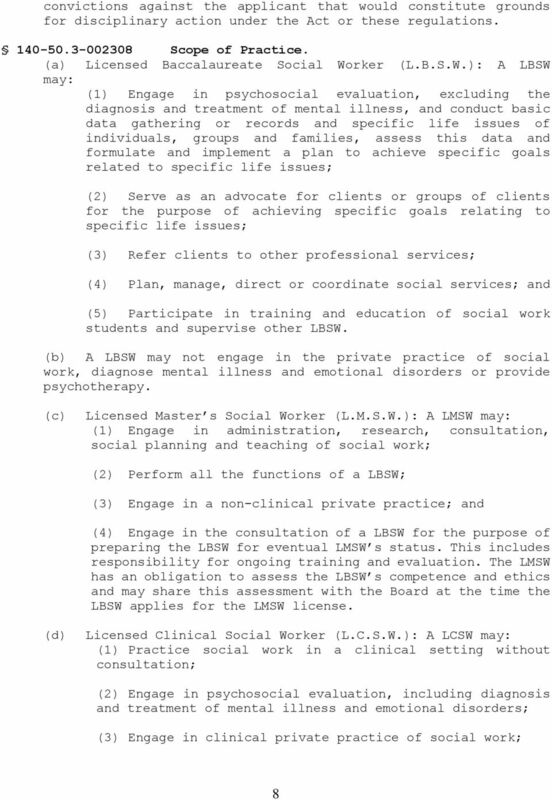 ASWB is the Association of Social Work Boards." 140-50.3-004601 Definitions. (a) AMHCA is the American Mental Health Counselors Association. 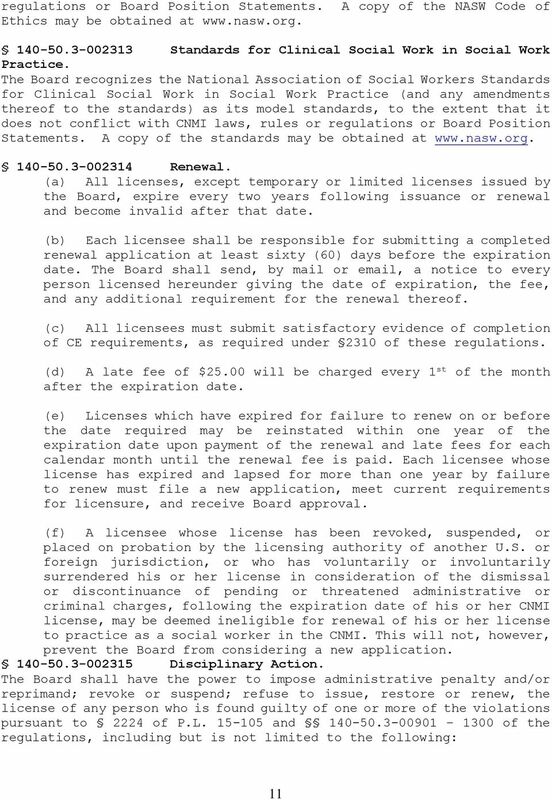 Notice of Adoption pub. 11/6/13 CR 140-50.3-004600 Part 4600. Licensed Professional Counselor, Licensed Mental Health Counselor, and Licensed Mental Health Counselor Associates. 140-50.3-004601 Definitions. 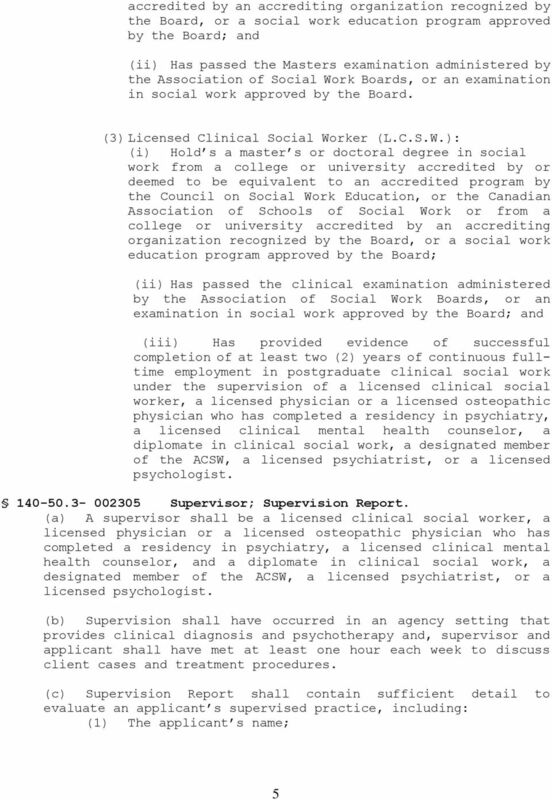 ADOPTED REGULATION OF THE BOARD OF EXAMINERS FOR MARRIAGE AND FAMILY THERAPISTS AND CLINICAL PROFESSIONAL COUNSELORS. LCB File No. 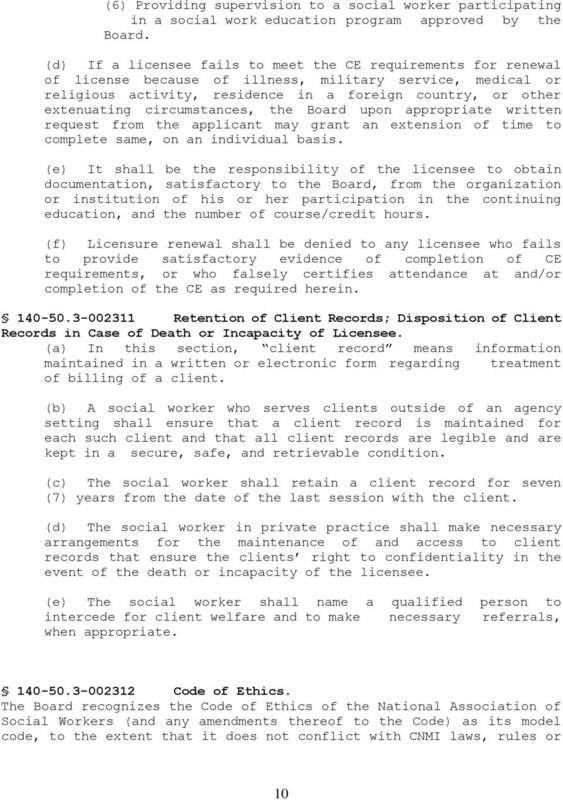 This act may be cited as the "Social Worker's Licensing Act". 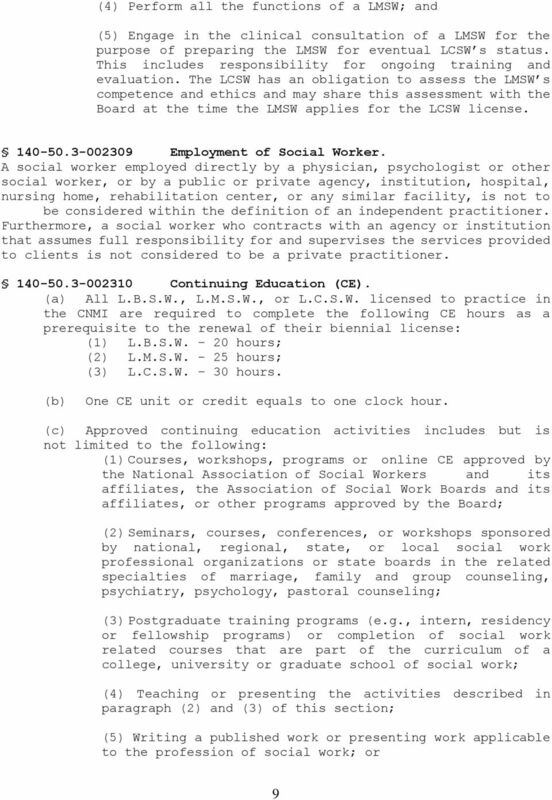 MASTER S SOCIAL WORKER LICENSE INSTRUCTIONS Authority: P.A. 368 of 1978, as amended This form is for information only. 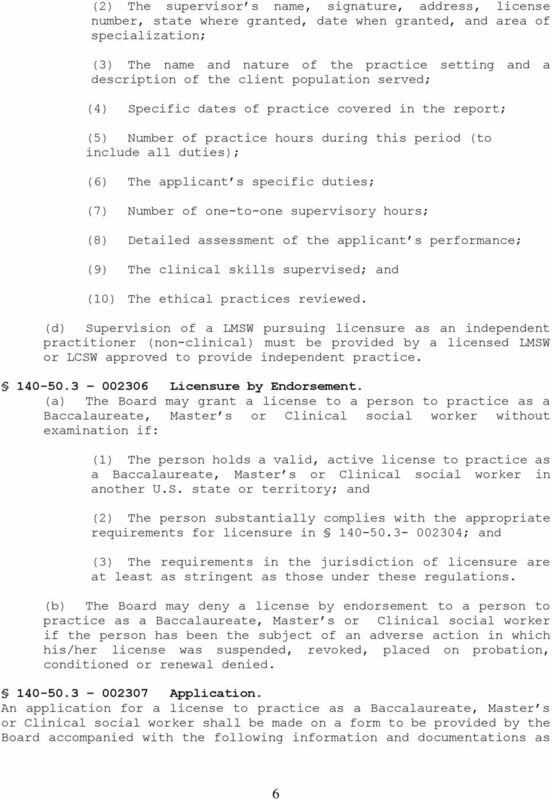 SOS initial Administrative Rules for Certified Apprentice Addiction Professionals, Certified Alcohol and Drug Abuse Counselors, and Licensed Alcohol and Drug Abuse Counselors Effective: September 1, 2016? 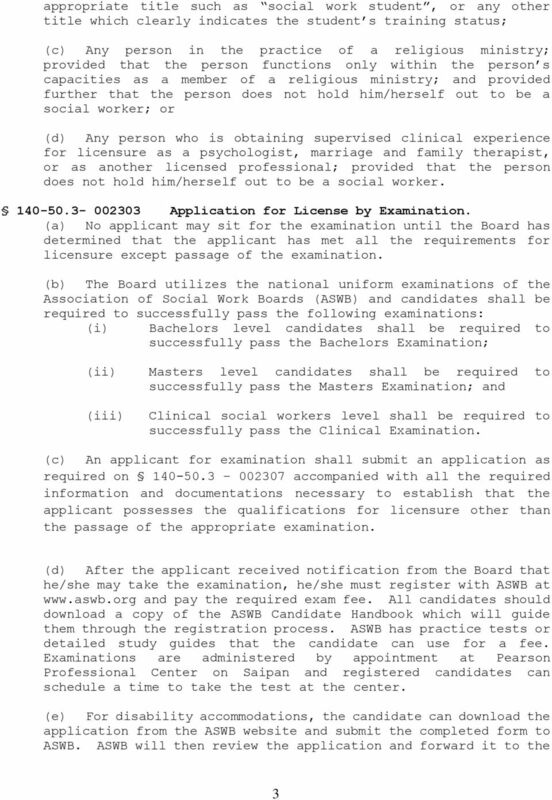 REVISED PROPOSED REGULATION OF THE BOARD OF PSYCHOLOGICAL EXAMINERS LCB File No. R127-14 July 8, 2015 EXPLANATION Matter in italics is new; matter in brackets [omitted material] is material to be omitted.